On this day in 1916, the brilliant Roald Dahl was born in Wales. In honor of this momentous occasion, I decided to share one of my favorite quotes (so hard to choose!) from his novel Charlie and the Great Glass Elevator. 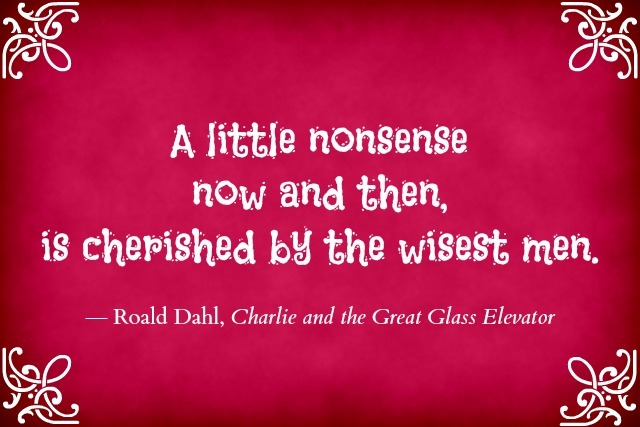 Dahl is known to children and adults alike for his imagination and wit. Dahl is the author of indisputably classic novels such as Charlie and the Chocolate Factory, James and the Giant Peach, The Witches and Fantastic Mr. Fox. As child, I devoured every Dahl novel I could get my hands on and as an adult, I find I enjoy them even more! Dahl passed in 1990 at the age of 74. His memory will live forever in the hearts and minds of those who been touched by his work.